AC Repair New Braunfels: Prepare Today or Sweat Tomorrow? It’s only March, yet the summer heat has already begun to return to New Braunfels. Across the country, unseasonably warm weather has brought about temperatures that are well above what we would expect for this time of year – and we all know what that means for the upcoming summer heat. Simply put, your decision is simple: Get ready for summer or be sorry you didn’t! There are plenty of ways to prepare for the summer weather, but nothing is more important than getting your air conditioning checked by a licensed New Braunfels AC service professional. During the relatively short winter, you likely put away a couple of things to make room for a couple of sweatshirts in your closet, but now is the time to start excavating some of those summertime favorites. While we wouldn’t recommend putting away all of your sweatshirts and jackets until the end of April, you could trim some down some of your cold-weather clothes in response to this surprising March warmth. If you’re one of the fortunate few to have a pool that you can use to escape the New Braunfels heat, now is the time to start taking a look at the state of your pool after the unused winter months. 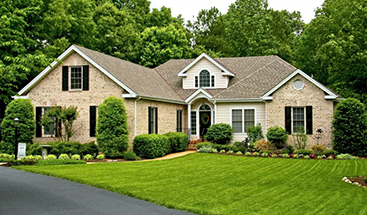 Check all the usual suspects, including the patio or stones surrounding your pool, the interior basin, all of your pumps and filters, and your remaining products and chemicals from last year. If the weather holds to this course, it may not be too early to set up a pool opening time or schedule an initial service for the year. Of course, it is March – anything can still happen. While the forecast, as of now, shows nothing but 70s and 80s, we could still get a chilly rain or sudden burst of cold air currents. The weather can change halfway through the day this time of year, so be sure to keep a sweatshirt or jacket in your car or at your desk, just in case! Beyond that, don’t put all your close-toed shoes away for flip-flops just yet, as the evening and morning hours will likely stay a bit nippy for a month or more. While we’re all for preparation, stay guarded against the potential for cold throughout the late spring/early winter weeks. Above all, you should take this brief period of relatively mild warmth as a great chance to have your air conditioning checked and serviced for the coming summer months. 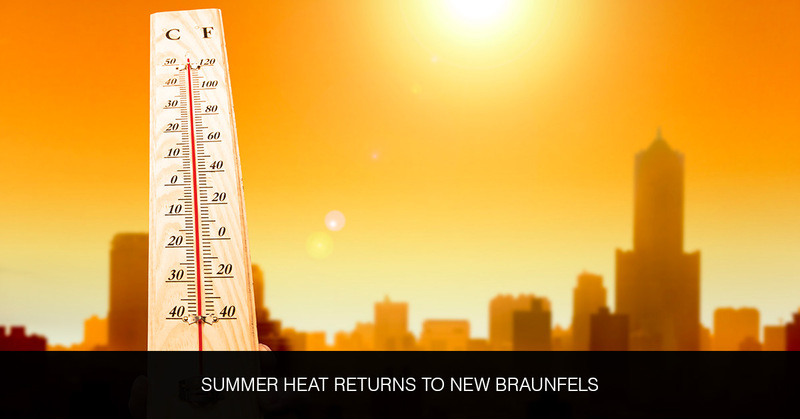 If it’s already 80 plus degrees in March, imagine what the actual New Braunfels summer will be like; now, imagine if your AC goes out during one of those 100 plus degree days with something like 1000 percent humidity – yikes! We don’t claim to be meteorologists at Legacy Air Conditioning & Heating, but we can speak from experience when we say that a warm March means a scorching summer and plenty of broken air conditioning here in New Braunfels – don’t let that be you!